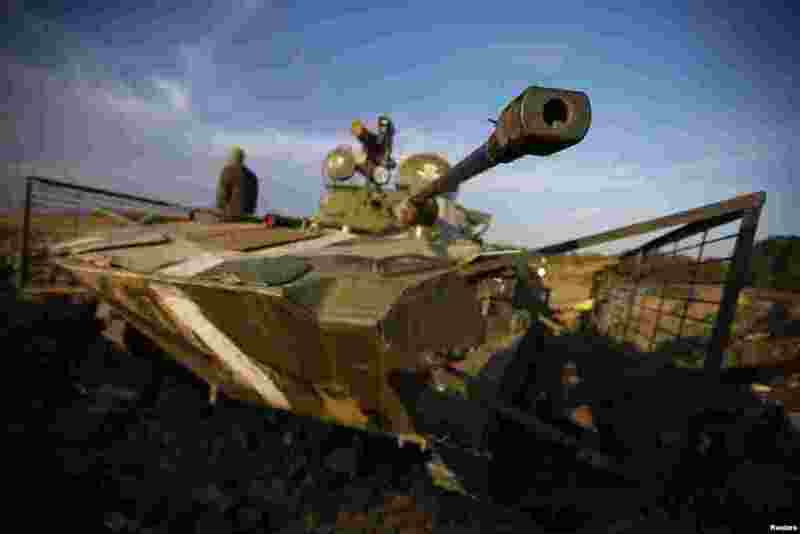 1 A Ukrainian soldier is pictured next to a tank near the village of Debaltseve in eastern Ukraine Sept. 21, 2014. 2 A Ukrainian serviceman secures the area during an exchange of prisoners-of-war near Donetsk, eastern Ukraine, Sept. 21, 2014. 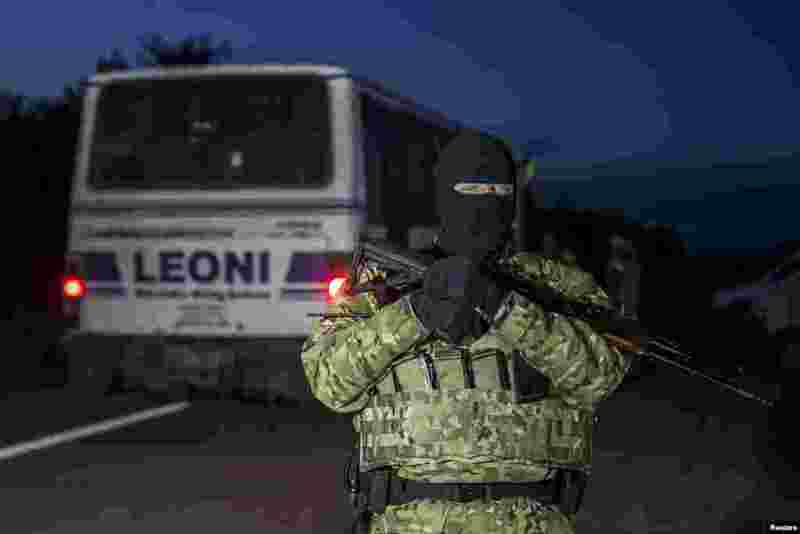 3 Members of the pro-Russian rebels, who were held as prisoners-of-war, enter a bus after being exchanged, north of Donetsk, eastern Ukraine, Sept. 21, 2014. 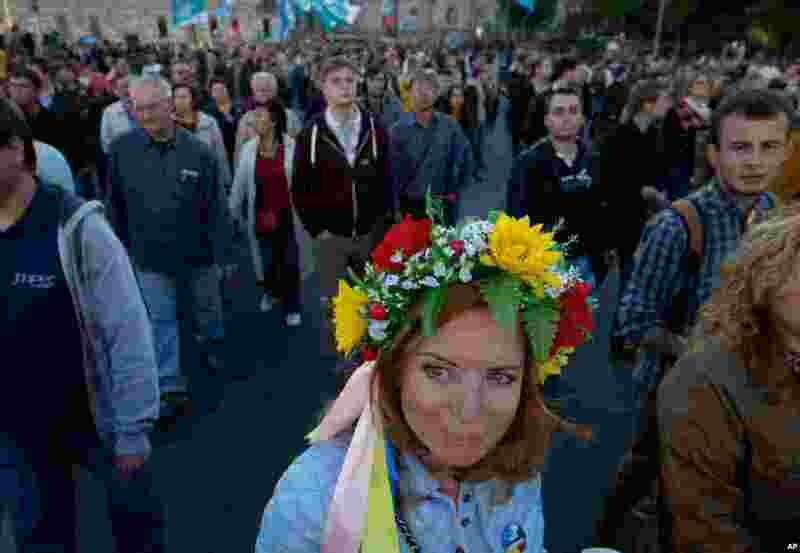 4 A woman wears a traditional Ukrainian flower headband during an anti-war rally in downtown Moscow, Russia, Sept. 21, 2014.